Let’s Get Rid of Management! Let’s Get Rid of Management was written by Harry Gray, then CEO of United Technologies, and published in the Wall Street Journal in the late 70’s or early 80’s. I have always appreciated the philosophy implied by Mr. Gray in this short column. In fact, I cut the column out of the WSJ and had it posted above my desk for a very long time. I even memorized it. I never met Harry, but certainly wish I had. It would have been fun to discuss his experiences, and leadership philosophies in much greater depth. While I’ll never know, I suspect he didn’t mean we get rid of management, as a skill or process, completely. I suspect the title of the column was intended to grab our attention and peak our curiosity. It did for me, I suspect you as well. My experience suggests that management and leadership, as skills and processes, are equally important in today’s organizations. Great leaders must also be good managers and vice versa. What I found to be of most value in Mr. Gray’s WSJ article, is the idea that most people don’t want to be managed; most prefer to be led. This is especially true in times of great change. Let’s say you’re involved with planning the merger of two companies, divisions or even departments. 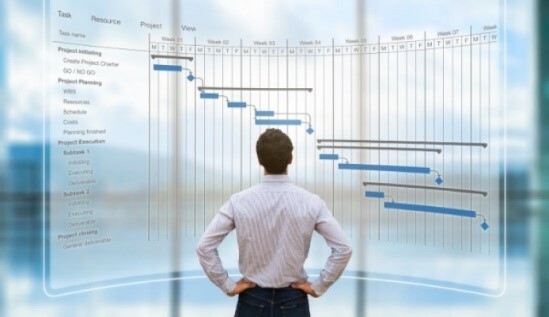 In that effort, while complicated, it will be relatively easy to plan, and manage, the steps to be taken between when the change is announced and completed. The difficult part of organizational change has very little to do with the tasks and initiatives that must be managed along the way. The real challenge, and the reason for many failures, has more to do with the “people stuff”; the melding of different cultures, each with unique beliefs, values, philosophies and operating systems. Truly, the “soft stuff” is the “hard part” when it comes to organizational change. No matter how hard you might try, you cannot manage the emotional and psychological transition that people must make in times of great change. They must manage that process themselves. That is where leadership, as a process, comes into play. We must lead people through emotional change and transition. And prior to leading others through change, we must manage our own personal transition first. My experience suggests that “change management” is not the reason most change efforts fail, it has more to do with a lack of “change leadership”. It is usually not about the management of things, processes and systems, but the emotional transitions people must make. People don’t want to be managed. They want to be led. Whoever heard of a world manager? World leader, Yes. They lead, they don’t manage. The carrot always wins over the stick. horse to water, but you can’t manage him to drink. manage yourself. Do that well and you’ll be ready to stop managing and start leading.